" This new generation of this product is a vast improvement over the original one. " " This improved mask is so much easier to adjust to prevent leakage and is so much lighter that other masks will continue to use this brand "
The redesigned SleepWeaver Advance Nasal CPAP Mask with Improved Zzzephyr Seal offers an even better fit and seal. Circadiance listened to customers and sleep professionals to improve their industry leading soft cloth mask. Unlike traditional silicone masks, the cloth SleepWeaver weighs less than an ounce and greatly reduces the chance of red marks. The 2nd Generation Headgear provides better fit and stability. Circadiance believes in the SleepWeaver Advance and offers a 30 day money back guarantee. 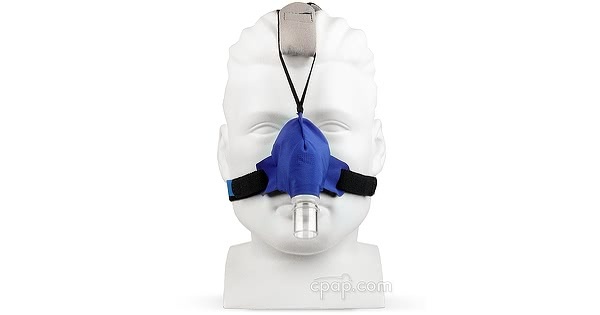 If you are not satisfied with the mask, contact CPAP.com for return information. Making the most of product feedback from the sleep community, Circadiance has updated their popular mask. SleepWeaver, the only cloth mask available on the market, is committed to providing a comfortable sleep experience with the SleepWeaver Advance Nasal CPAP Mask with Improved Zzzephyr Seal. The SleepWeaver Advance mask is part of the sleepweaver family of masks which utilize a cloth material to form a "balloon" style mask interface. The cloth material is designed to be more skin friendly than traditional CPAP mask types, helping avoid and alleviate skin issues that can come from wearing other masks. Did you know the SleepWeaver Advance comes in different variations to treat almost anyone? 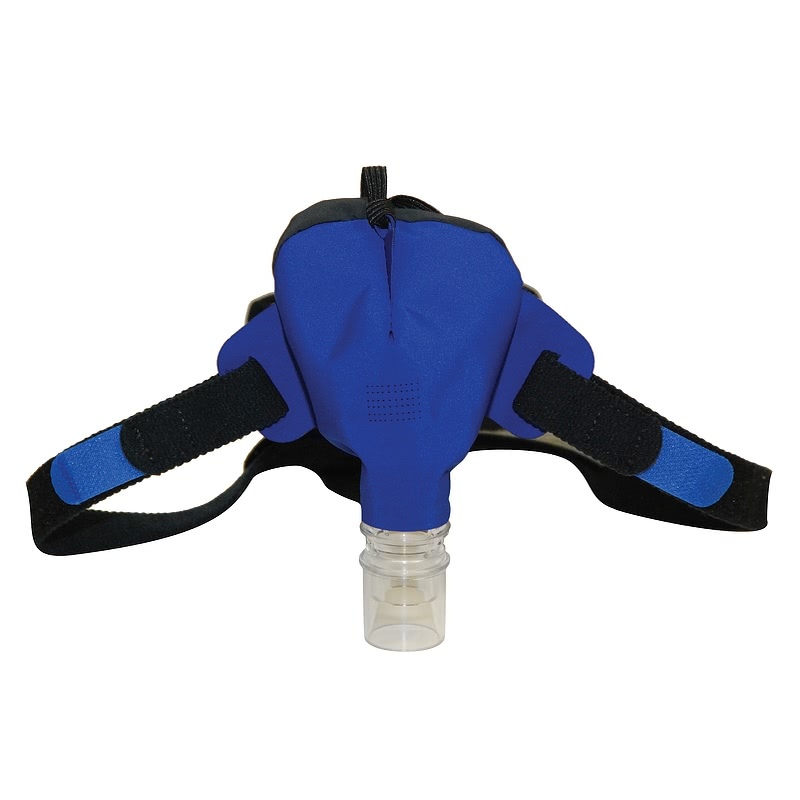 This is the adult-sized Advance, while there is an Advance Small available for those with small faces, as well as the Advance Pediatric is one of the few masks FDA approved for use with children aged 2 through 7. The SleepWeaver Advance Zzzephyr Seal has been enhanced by reshaping the seal. The improved seal offers a better fit for a wider range of faces. Additionally, the color of the seal has been changed from light gray to black. SleepWeaver Advance headgear is soft yet durable. The material pulls moisture and heat away from the user to enhance comfort. Colorful tab attachments are easy to adjust. 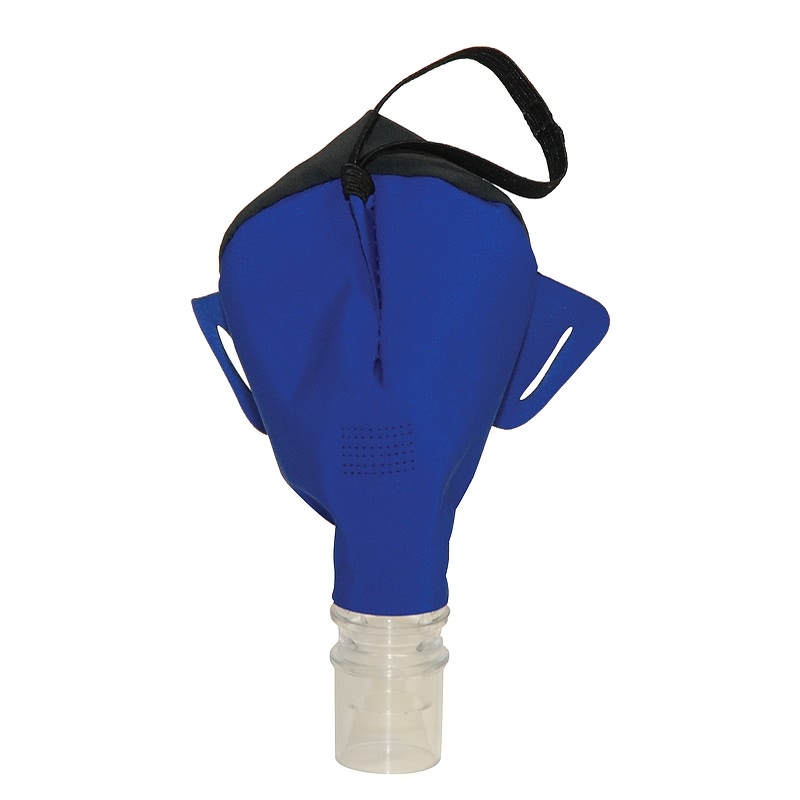 The design of the headgear offers the needed stability to support the unique inflatable cloth mask. An extended adjustment strap offers an additional four inches on each side and the top, allowing SleepWeaver Advance to comfortably accommodate both large and small heads. Responding to feedback, Circadiance has updated the exhalation holes for quieter operation. Additionally, the exhalation holes have been reconfigured to offer just the right amount of exhalation without omitting a disruptive amount of air. The soft material of the SleepWeaver Advance inflates or "balloons" with the flow of air, gently sealing against the CPAP user's face. Because there is no hard plastic as with traditional masks red marks and abrasions are reduced with the SleepWeaver Advance. The Zzzephyr Seal shifts with movement and accommodates a wide range of sleeping positions without losing seal. A lighter mask deserves a lighter tubing. Add the optional SleepWeaver Feather Weight Tube to your mask setup to reduce mask drag and increase freedom of movement. The Feather Weight tubing is lighter and more flexible than regular tubing which helps to reduce leaks and increase comfort. 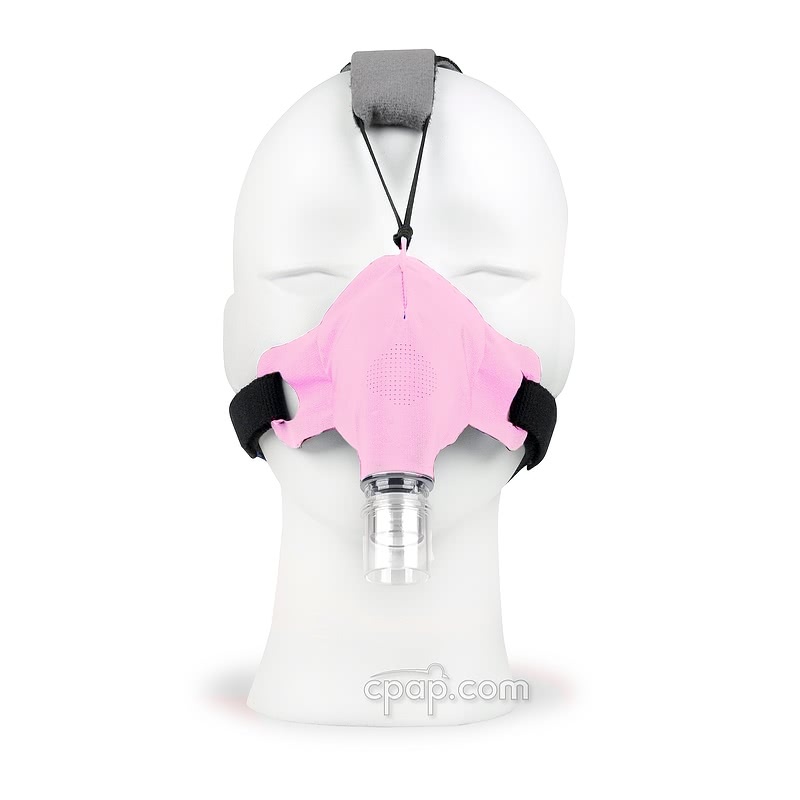 Attach the Feather Weight tubing between your mask and your regular tubing. Interested in a smaller size of the Advance? 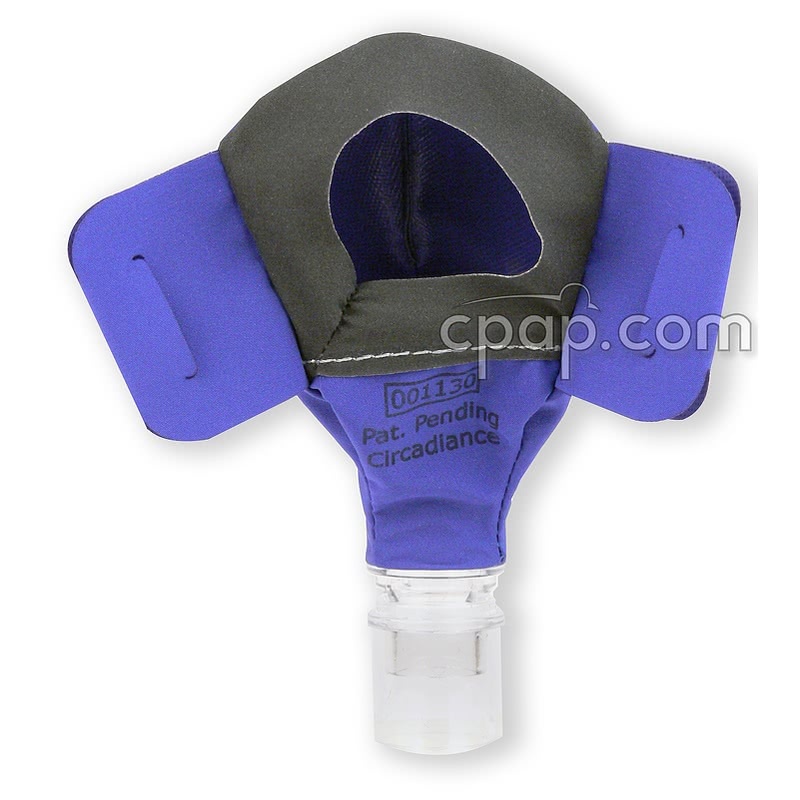 Circadiance also offers the SleepWeaver Advance Small Soft Cloth Nasal CPAP Mask with Headgear using the same lightweight weight material and headgear. 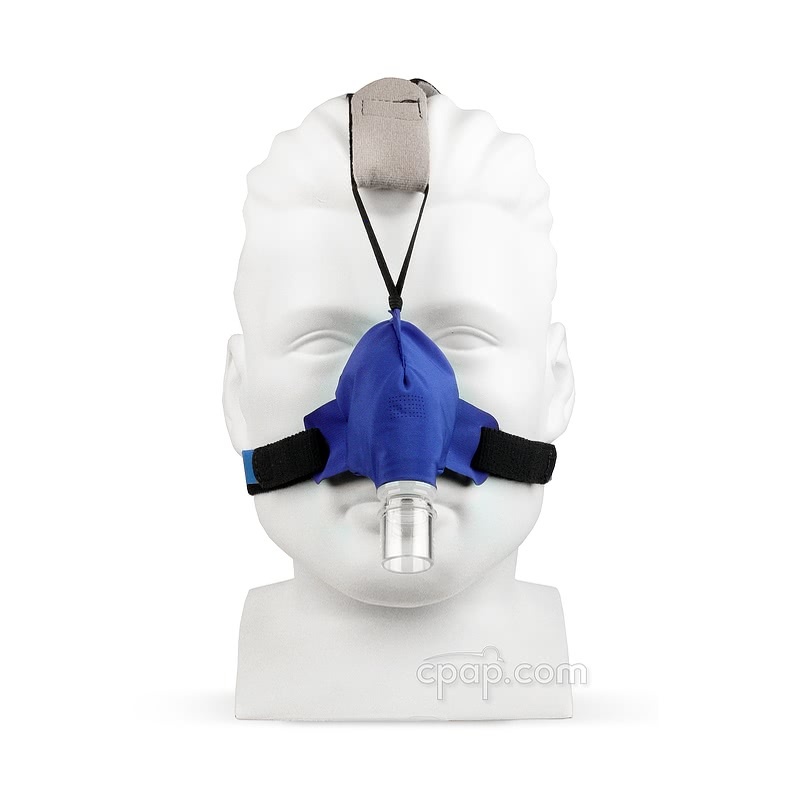 The mask frame and cushion do not have an identifiable size because the SleepWeaver Advance Nasal CPAP Mask with Improved Zzzephyr Seal is offered in only one size. The item may be customized by selecting one of five color options. 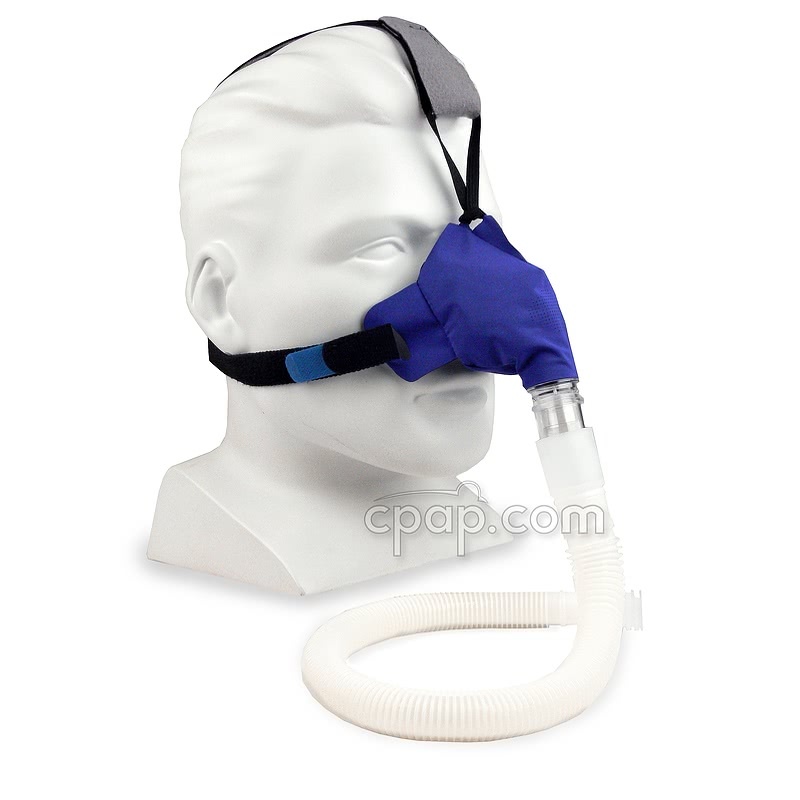 The SleepWeaver cloth mask is different than traditional CPAP masks. The most important thing is to not over tighten the mask. Unlike many CPAP masks, a looser fit will achieve a better seal. Take a "nose dive" into the mask. Once on, take two to three deep breaths to help the mask form a seal around the nose. If the side straps are loose, tighten them, however leave them loose enough to fit one finger under the straps. The mask should not touch the eyes, if the mask is too close to the eyes, loosen the top strap and pull down on the mask to reposition. A mirror may help with placement. If you are having problems achieving a seal, pull down on the mask to reset the seal and repeat step three. In the morning, instead of releasing the straps, take the mask off as is to keep your strap setting. If you have any questions feel free to give us a call at 1-800-356-5221. For help with fitting, Circadiance provides instructions: sleepweaver-instructions. Circadiance recommends using a mild, non-abrasive detergent that is not anti-bacterial to wash the SleepWeaver masks. One example is Liquid Tide. However there are many other appropriate products available for use. Do NOT use baby shampoo on SleepWeaver products. Circadiance also suggests not to use an oil based soap when washing the SleepWeaver Masks. See the Specs Tab of this product page for a complete list of manufacturer approved cleaning methods. With no hard-to-reach places or detachable pieces the SleepWeaver is easy to clean. It is recommended that the SleepWeaver be cleaned every morning. The entire mask can be hand washed or placed in the washing machine using a "delicates" bag. It does not have be taken apart the mask for cleaning. Once the mask is cleaned, hang the mask to dry. Do not place the mask in a clothes dryer. With use and cleaning, over time, the tape holding the cloth mask to the swivel will deteriorate and need to be replaced. This can be found by turning the mask inside out. Any latex-free medical tape can be used as a replacement when needed. Watch the "SleepWeaver Cleaning and Maintaining" video on the Learning Center Tab for more instructions. Look at the SleepWeaver's improved Zzzephyr Seal by holding the mask with the elbow connection facing away from you. Locate the seam in the Zzzephyr Seal fabric. An earlier version of the Zzzephyr Seal has the seam on the lower right corner. The Improved Zzzephyr Seal has the seam on the lower left corner.